It turns out Wall Street investors like those homespun crafts. Etsy, the online marketplace for handmade goods, went public today. Shares opened at $31 on the NASDAQ, popping up 94 percent from the initial set price of $16 per share. The company closed its first day of trading at $30 per share, an 86% percent rise from its initial price. The company raised over $287 million by selling 16.7 million shares before trading, valuing the company at nearly $1.8 billion. Stock went up close to $35 by mid morning. Etsy is now worth more than $3.5 billion. The handmade crafts company is not yet turning a profit, but has seen year-over-year growth in revenue for the past few years, rocketing from $74.6 million in 2012, to $125 million in 2013 and to $195.59 million last year. It had 1.4 million active sellers and 19.8 million active buyers as of December. The question now is how Etsy plans to maintain its small craft, artisanal identity. The company has a loyal base of buyers and sellers who go to the site to buy unique items. Etsy will face challenges in competing with what it counts as its larger rivals Alibaba, eBay and Amazon, without losing its key base of homemade goods enthusiasts. If the company were to see interest in its core marketplace slip, the firm might be forced to diversify its product mix through rules changes that could lead to customers becoming disenchanted with its marketplace. The firm has to weigh the importance of its now diverse and public shareholders, as well as its users that bought and sold enough craft items to let the company execute its IPO. Every company has to strike a new balance after its offering. 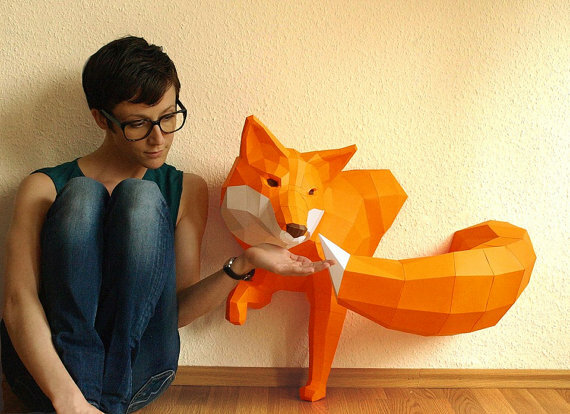 Etsy, however, with a carefully honed brand and aesthetic, offers unique items such as 3D paper foxes and handmade stuffed sea creatures — keeping true to the brand that helped launch a company with humble beginnings from a Brooklyn apartment 10 years ago while pleasing shareholders poses an interesting challenge. The success of the company’s IPO bodes well for the technology liquidity market, as it could spur other firms waiting on the sidelines to pull the trigger on their own IPOs. The technology IPO market has been slow so far in 2015. Box listed its shares earlier this year, receiving a massive 70 percent day one pop. Box’s shares, however, have since receded. The success of Etsy’s IPO could shine especially bright for Shopify, another company that recently filed for its own initial offering. They are related, if not analogous companies; Shopify provides e-commerce tools to small and medium-sized business, a moderate contrast to Etsy’s own solution. Still, the companies both track the aggregate dollar flow through their respective platforms. Etsy saw gross merchandise sales (GMS) in 2014 of $1.93 billion, while Shopify saw gross merchandise volume (GMV) of $3.76 billion in the same period. Etsy derives, as you expect, more revenue per dollar-through-platform given its intimate status as the marketplace network itself, in contrast to Shopify’s SaaS solution that helps others build their own sales channels. Given the enthusiastic reception of Etsy by investors, Shopify might anticipate a similiary warm reaction given the shared overtones of the two companies. The latter company has yet to price. Regardless of any potential impact on Shopify’s own IPO, Etsy is having a banner day. It’s the sort of reception any company dreams of on its roadshow. A final question: Did the company price too conservatively, and if so, does it really give a damn?